The Singleton Portable Barrel Plating equpment is the perfect solution, when a full size barrel is too much. We offer a wide range of sizes allowing you to achieve optimum solution for the transfer and current density. Portable barrels can be for plating on a variety of smaller loads, precious metals or delicate parts. Complete assemblies are furnished with drives and high capacity copper cathode contacts. Superstructures are available in select configurations to match existing equipment. 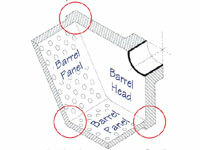 Fuse-Fab™ construction, the same as provided on Singleton production barrels. Poly-Ripple™ interior panel surfaces prevent smaller parts from sticking, promote tumbling and faster plating. Heavy Duty drilled panels: 1/16" to 1/4" diameter perforations available. Alloy clamps or knobs secure the door during processing and resist corrosion. Self-lubricating gears and separate hubs, attached with alloy fasteners maximize serviceability. 110 VAC single phase, integral motors. Variable speed DC drives or air driven units are optional. Singleton plating barrel series is made with innovative Fuse-Fab™ construction and premium grade, high temperature polypropylene assuring quality and durability. While in a controlled thermal process, the Fuse-Fab™ joins sections of plastic material, producing a single uniform section. The result is a smooth plating barrel with integrity and premium strength. The Steel-Core™ construction eliminates warping and parts loss while optimizing overall durability. 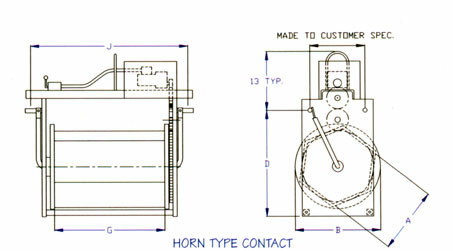 This feature is integrated into door handles, side ribs and door ribs. This unique technology concentrates on reinforcing to provide superior strength and extended service life to every Singleton production barrel. The entire length of the interior services to the Poly-Ripple™ barrel panels are covered with patterned parallel grooves. 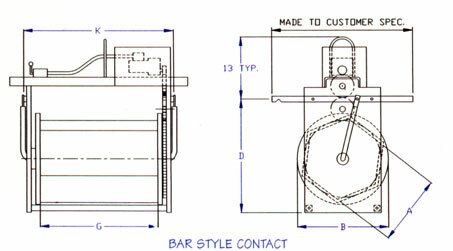 Poly-Ripple™ panel interiors are an exclusive feature of all Singleton barrel plating equipment. The Poly-Ripple™ technology supports material tumbling, increases current flow to the load, eliminates nesting, allows faster drying, faster draining and less drag-out. Available in performations of 3/32", 1/8", 5/32", 3/16", 7/32", or 1/4". Each machine is made-to-order. Available in steel, stainless steel, Monel or Carpenter 20.